Experiment with Blazers: Who said that work blazers always have to be the same old, boring ones? From colours to fits, designs to lengths, there's a whole gamut out there for you to choose from. A smart idea is to also go for formal-looking jackets that come in wonderful summer fabrics and can be taken from your boardroom straight to a trendy lounge bar. Invest in Linen: Apart from looking great, linen as a fabric is very comfortable too. Start with linen shirts that look great at work and then move onto linen pants. Extremely comfortable, the fabric allows you to breathe easy and yet look crisp. Go for the classic white linen shirt for sure. For colour, soft yellow and powder blue are great options as well. Wear Funky Socks: If your entire look is basic and simple, socks can be the much-needed fun addition. And since there is a wide variety in terms of colours, prints and patterns to choose from, you'll never run short of options. 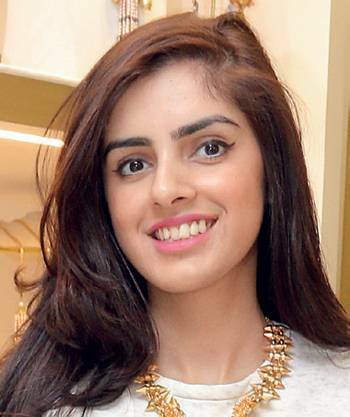 However don't go overboard and go for inyour-face ones; simple colours and small prints can be easily effective too. Replace Trousers with Chinos: Lightweight and definitely more fashionable, chinos are the perfect replacement when you're bored of wearing the rather uninspiring trousers every day at work. They come in a large variety of colours, have more options in terms of the right fit and are supremely comfortable making it easier for you to shuttle between multiple meetings, events and presentations without feeling a glitch. 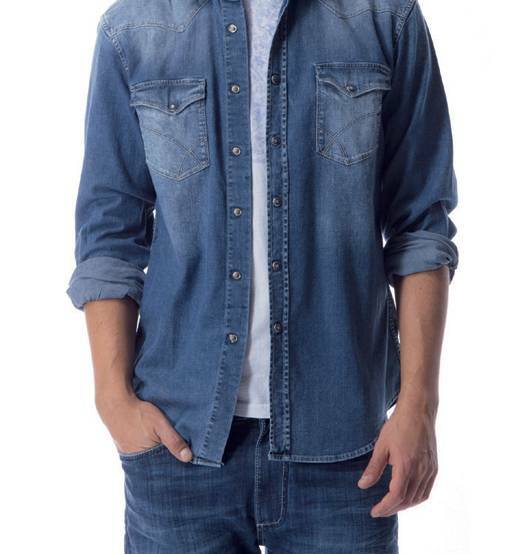 Get a Denim Shirt: Denim is the 'it' fabric this season and jeans certainly aren't the only way to wear it. Denim shirts work well with chinos and trousers alike and can be layered with a jacket as well. If it is Friday, feel free to try the denim-on-denim look; the trick here is to keep the top and bottom in different shades of denim though. No longer for just metrosexuals, a pedicure is a necessity for every working man today who spends hours wearing the same shoes, exercises and sweats and basically uses his feet to walk, run and jump. And contrary to what you might think, a pedicure has more to it than cutting your toenails and keeping them clean. It also involves removing of dead skin cells from under the feet and providing some care to damaged heels and calluses. Not to forget, preventing fungal infections, nail diseases and getting rid of foot odour issues. A basic pedicure at requires easy-to-find-athome grooming tools; make sure they are clean and sterilised to prevent an infection. An ideal kit would include towel, foot soak, pumice stone, cuticle stick and nail-care things such as clippers and cutters. You'll also need a bowl of warm water and foot lotion. 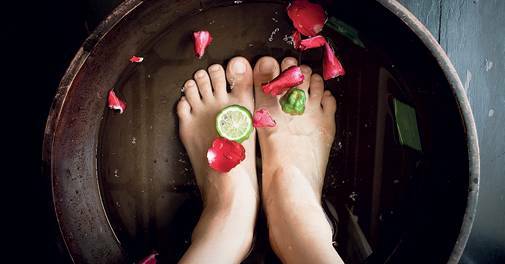 Before you start your pedicure at home, make sure to wash your feet with soap and pat them dry. Add the foot soak to the warm water, then dip your feet in it for about 10 minutes. This will ensure that the epidermis of the skin is softened, while the fragrance will help you get rid of foot odour. Begin the skin exfoliation by rubbing the pumice stone against your skin. It will help you get rid of dead skin cells. Push your cuticles back using the cuticle stick. This might hurt so be a bit slow and gentle. Make sure you don't ever cut the cuticles as that can cause infections and bleeding. Use the nail clipper to trim your toenails. Cut the nails straight, just above the skin to prevent ingrown toenails. Shaping your nails is not a necessary step, but it makes the nails look well groomed. File the nails in a left to right motion instead of a back and forth motion to avoid cracking and splitting. Wash your feet again with fresh water and dry them with a towel. Massage and moisturise your feet to maintain the results of the pedicure. Losing one's wallet is perhaps one of the biggest fears among men today. After all, it is the one thing that contains cash, credit cards, business cards and other important stuff that's way too essential to be managed without. But thanks to Grabado Tech + Wallet by Cross, the brand that's single-handedly aimed at creating personal accessories with a touch of technology, you can now breathe easy and stress-free. 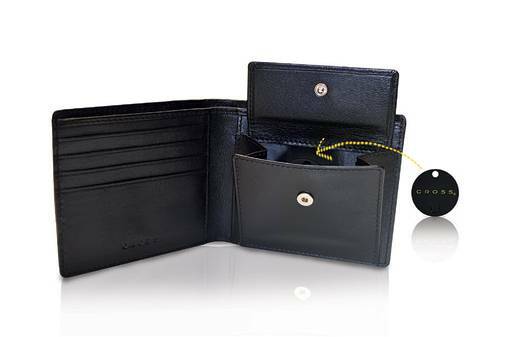 Probably one of the first luxury smart wallets, this one has an integrated tracking system that works via Bluetooth and syncs with the free to download Cross Tracker App on your smartphone/tablet helping you find it if and when it goes lost.